ELIZABETH CITY, N.C. – Did you know that 49 million Americans struggle to put food on the table? Ram is asking hunters and farmers to help end hunger one deer at a time. 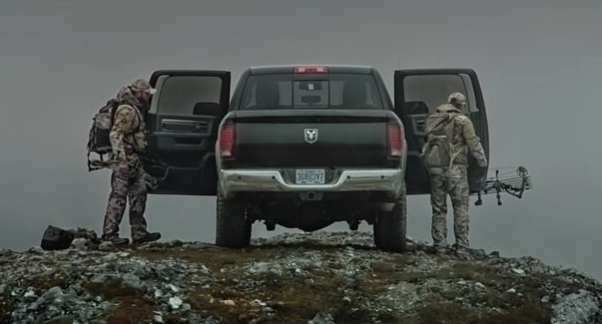 The new Ram campaign raises hunger awareness in America by celebrating the outdoors lifestyle. Partnering with Farmers and Hunters Feeding the Hungry(FHFH), Ram is encouraging hunters and farmers to donate a portion of their harvest to feed the less fortunate around the nation. Ram is a big advocate for all things outdoors and they know that many hunters and farmers use their trucks, hence the target audience for this campaign. FHFH has a national network of meat processors and food banks that will help Ram feed Americans across 30 states. The new Ram campaign raises hunger awareness with the clever hash tag #RamHuntsHunger. Hunters and farmers will see this everywhere! American Hunter and Field & Stream will be featuring print ads. There will be a huge push on social media as well by Ram and some of their marketing partners such as Mossy Oak and Drury Outdoors. Lastly, Ram has dished out four new commercials: “Stay Inside”, “Small”, “Donate”, and “Landscape.” Each spot speaks directly to the hunter to encourage donations. Ram has a history of making a difference with their brand. They are happy to be able to use their voice to a particular audience in order to help their country. If you’re interested in donating head to: RamTrucks.com/outdoorsman. Any donation you make can help! One deer can supply up to 200 meals for Americans. We thank you ahead of time for any food donation you can make. If you're looking to buy a new truck this winter head on over to your Ram dealer near South Mills, NC. We're happy to hook you up with a great truck to take on your outdoor adventures!